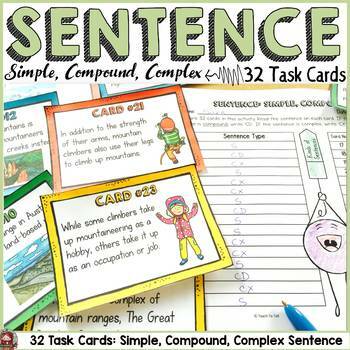 This pack comprising of 10 posters and 32 task cards will help reinforce teaching and learning of Simple, Compound and Complex Sentences. Separate folder featuring British English spellings included. 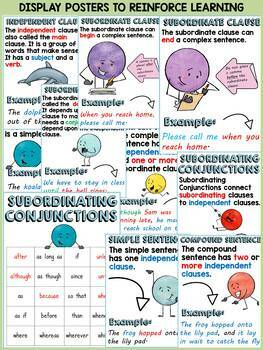 ✅ 10 posters/anchor charts featuring information on the use of clauses (independent and subordinate) in simple, compound and complex sentences. 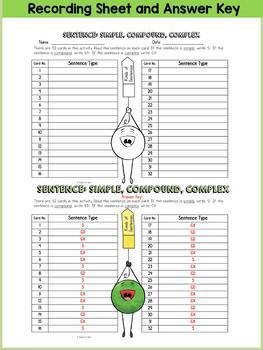 Use the posters/anchor charts to introduce and elaborate on grammatical terminology. 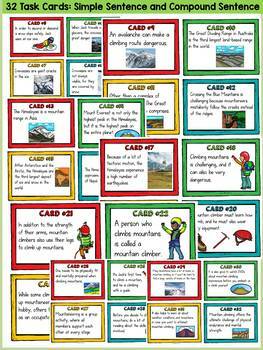 Spread task cards around the classroom. I personally like to tape to walls, so they don’t get lost in all the excitement. Provide students with a clipboard and the recording sheet. Students work, individually, in pairs, or in small groups to record their responses. Project the answer key on the smart board/interactive whiteboard for students to check their answers. Provide further explanation accordingly.